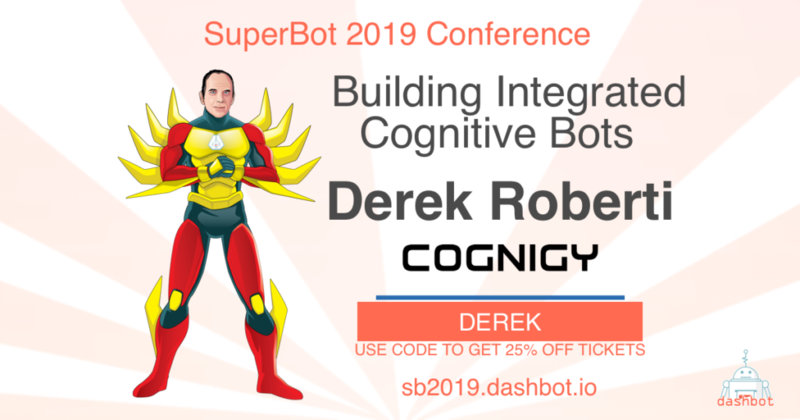 Derek Roberti, VP of Technology for Cognigy, will be attending SuperBot this year to talk about building enterprise chatbot solutions. Derek received his bachelors of arts from the University of Texas, Austin. Afterward, he attended Stanford University, where he received both his Ph.D and J.D. It was during law school that Derek became interested in the tech world. Post academia, he moved onto more technical roles leading development teams. Then in 2006, Derek started at Sitecore as the VP of Technical Services. He managed Sitecore’s CMS technical support, training, and pre-sales support for the North American market for 12 years. Along the way, Derek became intrigued with conversational AI and how it could revolutionize enterprise solutions, so he joined Cognigy as the VP of Technology where he’s tasked with helping his clients understand the power of cognitive psychology.